November 2013 | Oh Sarah O ! As most of you probably know, last week was Halloween and this year Jimmy Kimmel of Jimmy Kimmel Live held another YouTube Challenge where he asked parents to tell their children that they ate all of their Halloween Candy. The results were hilarious as always. I've been living in my new home for 8 months now and I'll admit that decorating my interior has been slow going. I think I spent the first 6 months slowly unpacking all of our boxes, and now that I can actually see the floors in most of our rooms it's finally time to address our naked walls. 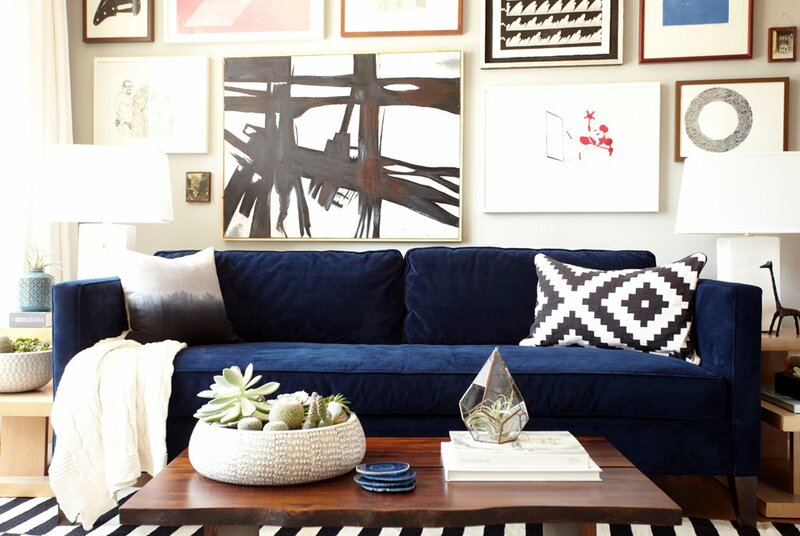 After doing some Google searching I found several DIY West Elm/ Franz Kline interpretations from The Hunted Interior, Amanda Carol Interiors, The Pink Chalkboard, Burlap and Lace, Some Like a Project, and Bliss at Home to name a few. I already had all of the materials needed on hand, so I decided to make my own. 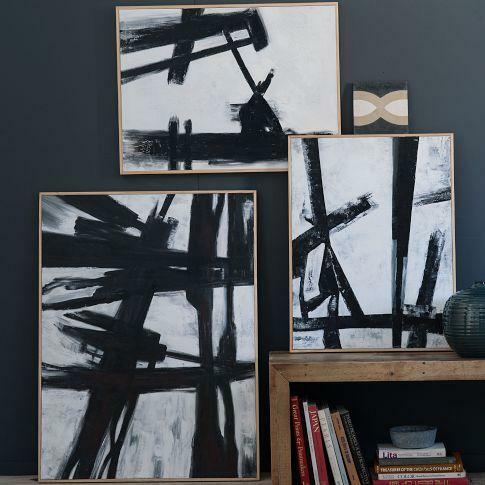 To make my West Elm/ Franz Kline knock-off I used a 16x20 canvas, some white gesso, black and white acrylic paint and 2 large, flat artist paintbrushes. My canvas was originally primed in brown, so first I covered my canvas in 2-3 coats of gesso to cover the brown and waited for it to dry. Next, I made several gestural brush strokes in black. After the black paint had dried, I made several gestural brush strokes in white and went over any black lines that I didn't want to keep. I repeated these last 2 steps until I was happy with my canvas. My finished piece now resides on my TV gallery wall.